If it’s all about food we’re going to talk about, then Cebu is a no-stranger when it comes to that topic. 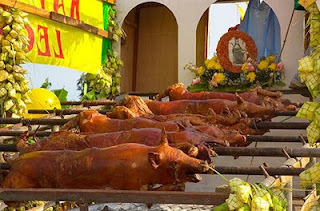 Cebu is not only famous for its stunning beaches, beautiful landscapes and great people perfectly blended by the modernization, but also for food uniqueness; the lechon, or roast. There are actually three kinds of lechon: the lechon baboy (roasted pig), lechon manok (chicken) and the quite rare lechon baka (roasted cow). The lechon baka is relatively rare since, rather than the whole cow, the hind leg/s is the only part available. 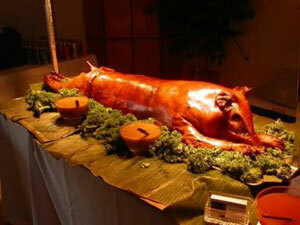 In Cebu, and in some parts of the Philippines, the default name of “lechon” is branded on the whole-roasted pig since it is mostly the first choice to be order in several major occasions like weddings, feasts and birthdays. Today, the places of Carcar and Talisay are considered the most prominent lechon producers. Even parties handled by wealthy people in Manila are bound to make orders in Cebu just to get the most delicious and scrumptious lechon.